Apply online below to open a new checking account or call 800.897.6991 and get your Tri-County Tech Spirit Card today! Every purchase made with your Tri County Tech debit card raises money without costing you a dime. We've donated ~$10,000 to Tri County Tech since 2010! Get your Tri-County Tech Spirit Card today. 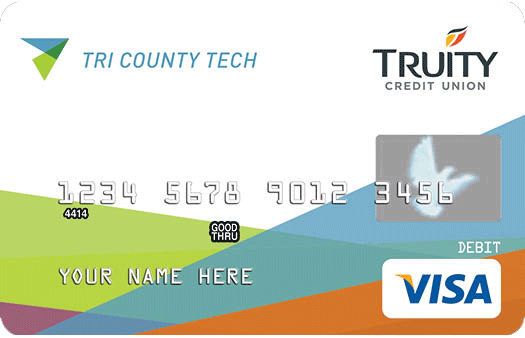 Apply for any Truity checking account and choose the Tri-County Tech Spirit Card.